How do you gather fabric? Increase your stitch length, run a row or two and then pull the tread? Does your thread ever break? 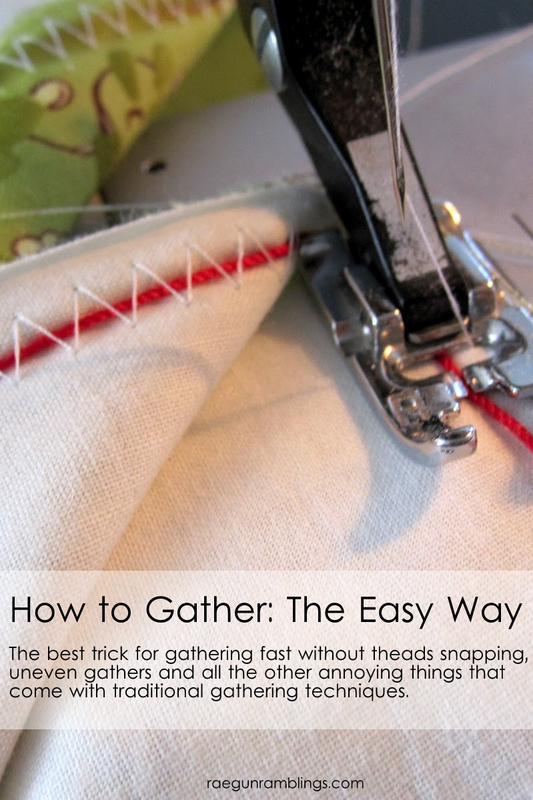 Take a look at this tutorial on RaeGun Ramblings for a way to create quick gathers evenly without breaking your thread.